Directed by Byron Howard, Rich Moore, Jared Bush. With Ginnifer Goodwin, Jason Bateman, Idris Elba, Jenny Slate. 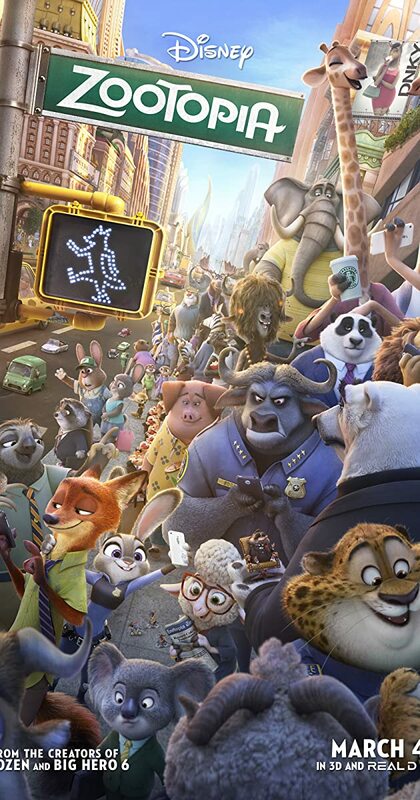 In a city of anthropomorphic animals, a rookie bunny cop and a cynical con artist fox must work together to uncover a conspiracy.